I repeat. 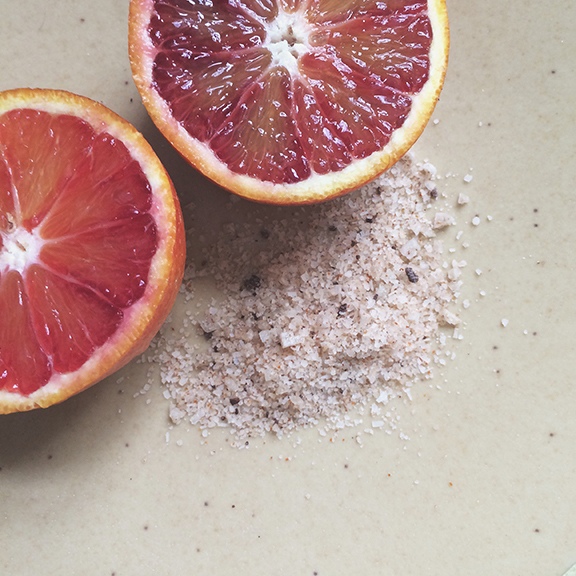 Blood Orange Bourbon with Cayenne Cinnamon Salt. Inspiration here. Salt credit to ma petite sœur. p.s. My writing skills have only improved with time, no? Ah, pipe dreams. Excuse me, I’m having a moment. A yeast moment. Plus this butter lemon yellow lemon curd. Moment. 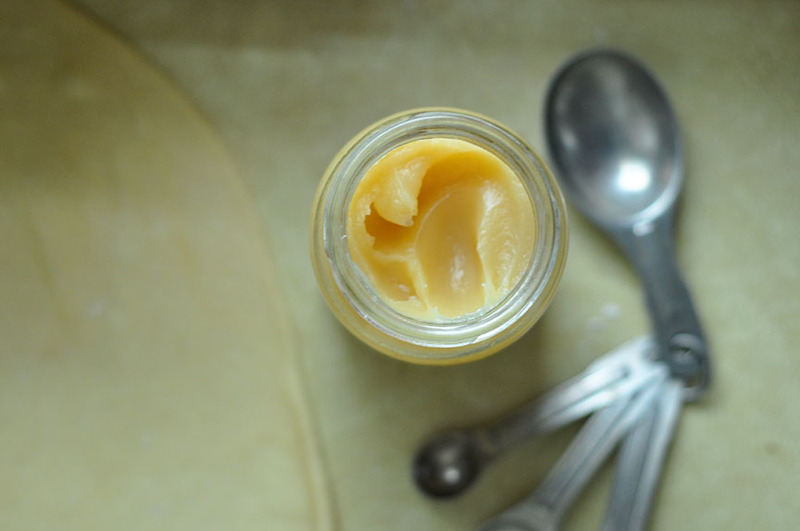 No shame in using jarred lemon curd here, though you can make your own and in the microwave, too. You’re making bread. Heaven knows that’s enough already. It’s pretty quick, all things considered. It uses a rapid-rise yeast, which makes your prep time shorter, and the swirl technique isn’t so bad. It’s rustic (read: imperfect). Overall, I got an overwhelmingly positive response. I think people might have been slightly thrown when they asked what it was, and I said it was a yeast bread. I should have just said “bread,” because yeast is like, normal in bread. One dude was like, “Is that the yeast I’m tasting?” Idk man, it probably just tastes like bread with a little bit of sweet lemon haha. 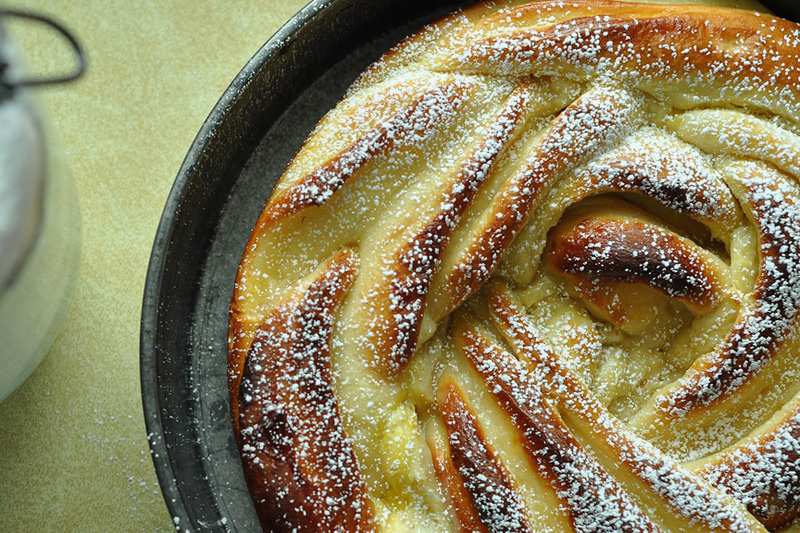 This would make a perrrrfect Easter brunch bread. You can even make it ahead of time and freeze it. Or freeze the dough after it’s shaped, let defrost and rise for a while whenever you want to bake it. Combine milk and butter in a microwave-safe bowl. Heat on high for 1 minute, then remove and stir. Continue heating in 20 second intervals, pausing after each to stir, until the butter is melted and the milk is warm to the touch but not hot. Let the milk mixture sit for a few minutes until it is warm but not hot (no warmer than 110 degrees F). 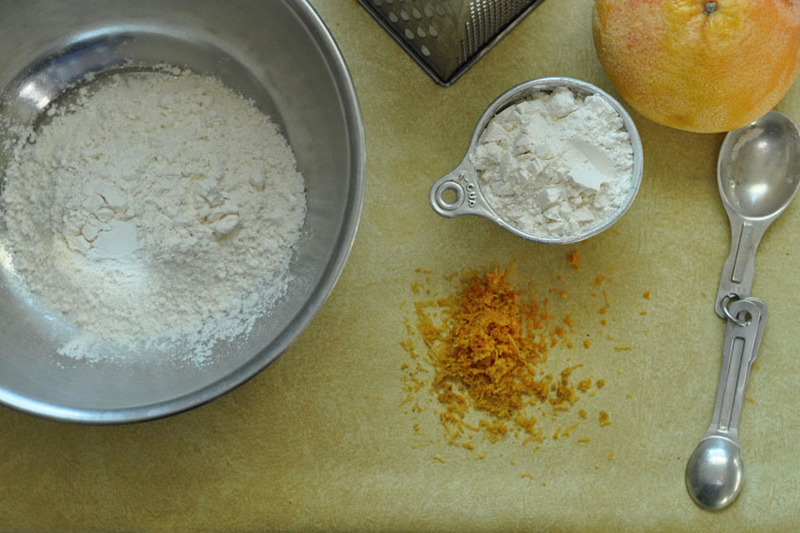 In a separate bowl, whisk together 3 cups flour, sugar and salt until combined. In the bowl of a stand mixer fitted with the dough hook attachment, add yeast and lukewarm milk mixture and stir by hand to combine. Add the flour mixture and egg, and beat on medium-low speed until combined. 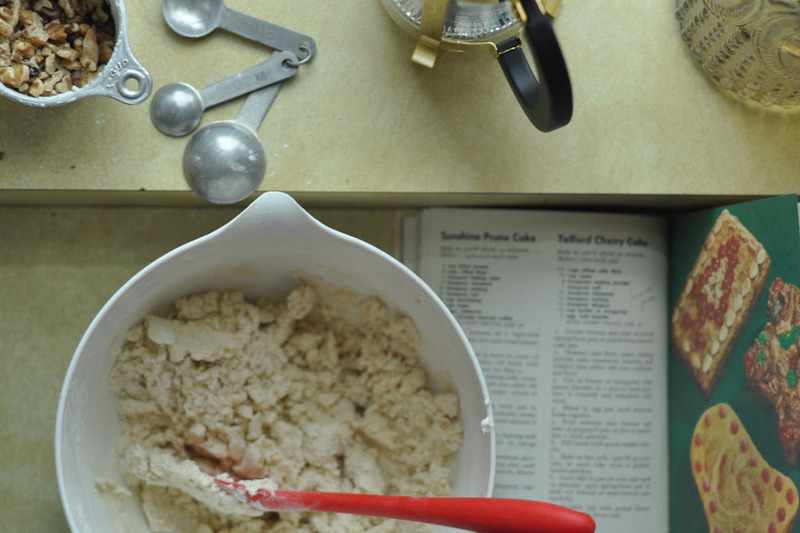 If the dough is sticking to the sides of the bowl, add the remaining flour, 1/4 cup at a time, until the dough begins to form a ball and pulls away from the sides of the bowl. Continue beating for 5 minutes on medium-low speed. Remove the dough hook and cover the bowl with a damp towel and let rest for 10 minutes. When the dough is ready, turn it out onto a floured work surface. Use a floured rolling pin to roll the dough out into a large rectangle, about 14 x 9 inches in size. (If you want all edges to be even, you can use a pizza slicer to cut the dough into a perfect rectangle.) Spread the lemon curd over the whole surface of the dough, almost to the edges. 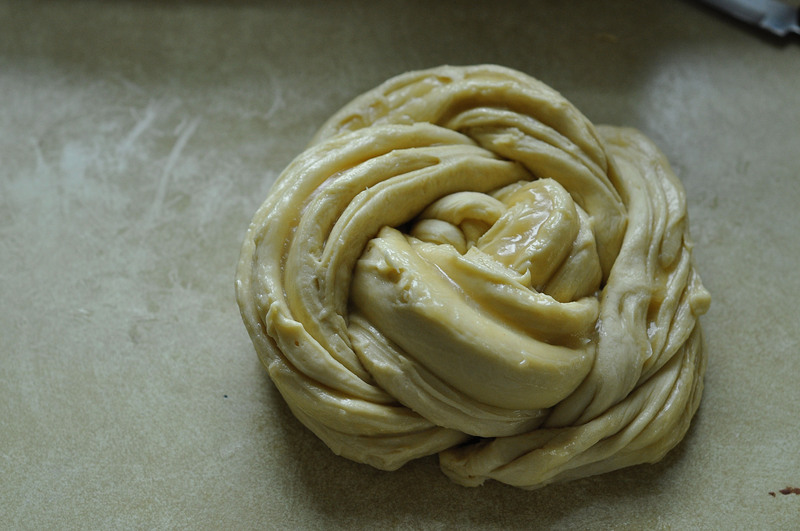 Beginning at the long edge, tightly roll up the dough toward yourself. Pinch the edges to seal the roll together. Using a sharp knife, cut the long roll in half length-wise, creating two long, layered pieces. Cross one piece over the other at the center, then cross the ends of each a few more times to create a twist. Wrap the braid around itself in a circle, keeping the cut edges of the pastry exposed and tucking the end of the twist under the circle. Transfer the loaf to a baking sheet lined with parchment. Preheat the oven to 350 degrees F and let the dough rise until it is preheated (about 15 minutes). Brush the top of the loaf with an egg wash (1 egg beaten with 1 teaspoon water). Bake for 20-30 minutes until the bread is golden brown. Once cool, sprinkle with powdered sugar if desired. Remember when Palcohol was a craze? And then it got banned by the FDA or something? They were worried people would abuse the powdered form of alcohol more than they abuse the liquid form, I think? Right. Anyway, I read up on it a little, then took an afternoon to make up my own recipe for red wine palcohol with a couple friends. 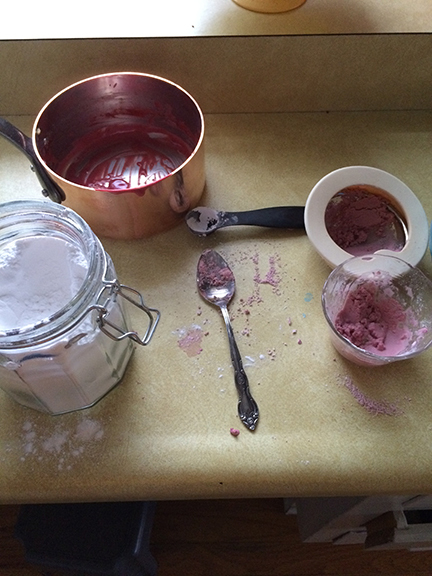 I substituted the fancy malodextrin for tapioca starch, added a little red wine and sieved it to form a powder. The ratio of starch to wine is like 7:1, so it would take pounds of this stuff to give you a buzz. I decided to use the rest of the bottle to flavor some pastry cream with which to fill some cream puffs, which I subsequently dusted with the red wine palcohol. The choux pastry turned out great, but the red wine flavor was just average overall. More on red wine later next week. Spoiler alert: CAKE. Wait, maybe that’s not a super huge spoiler. 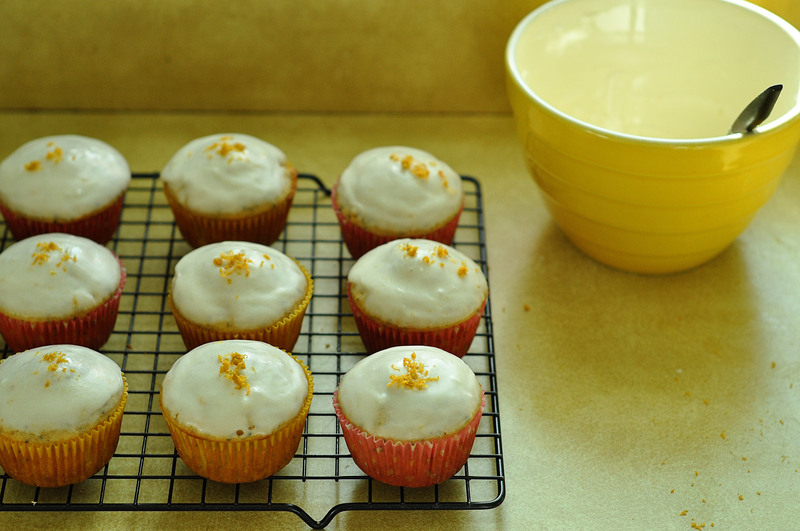 This is a baking blog, after all. When is the last time you had these chocolate coins from the dollar store? My childhood in a nutshell. They’ve not lost flavor since that time, I’ve just gained taste, so I decided that instead of eating them plain, I would incorporate them into a cookie. 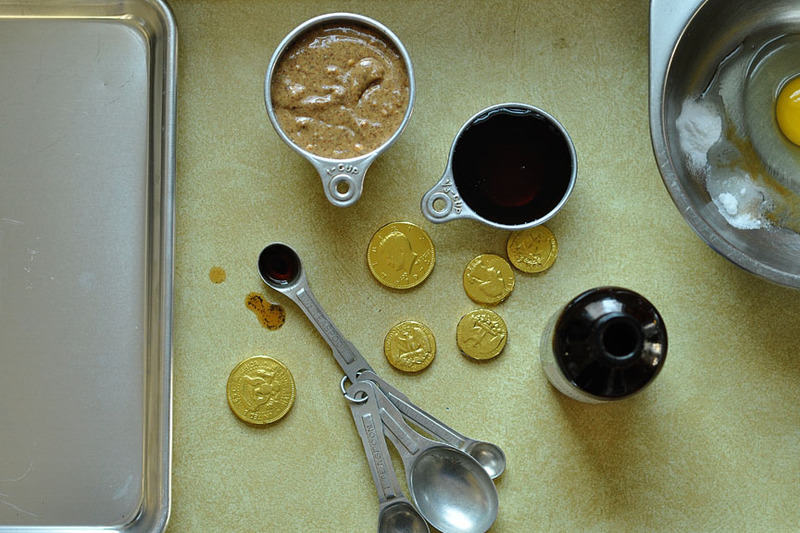 Almond butter is ok. It’s like the boringer cousin of peanut butter, which I guess makes it more versatile, but like the coins, it lacks flavor? So I’m hoping to combine two wrongs here and somehow come out with a right, despite worldly wisdom. This is literally the easiest one-bowl affair. If this photo had a caption, it would be: Piling on the goods. Make ’em yourself and tell me what you think, but I didn’t like them. Too salty, not enough chocolate. Except they were soft. Into that. 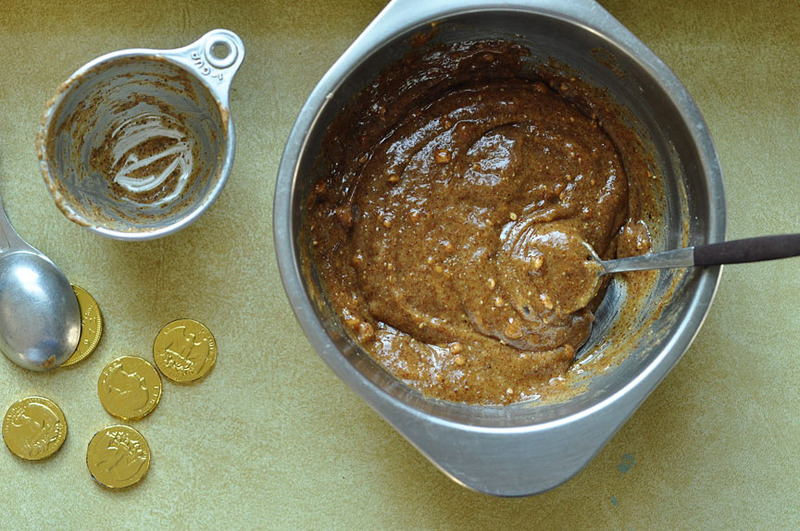 In a medium mixing bowl, beat together almond butter, maple syrup, egg, vanilla, baking soda, and salt until smooth and creamy, about 2 minutes. Fold in most of the chocolate. 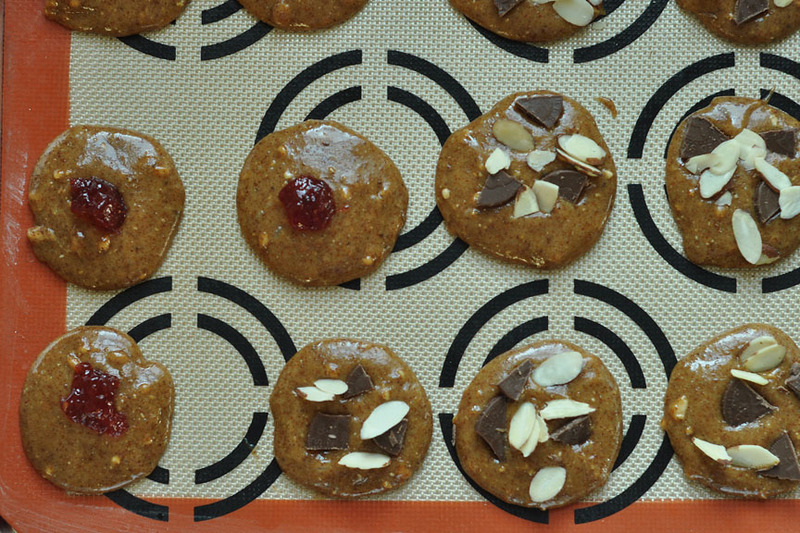 Drop tablespoon sized balls of dough onto a baking sheet lined with parchment paper, top each cookie with extra chocolate chunks or jelly and sea salt. 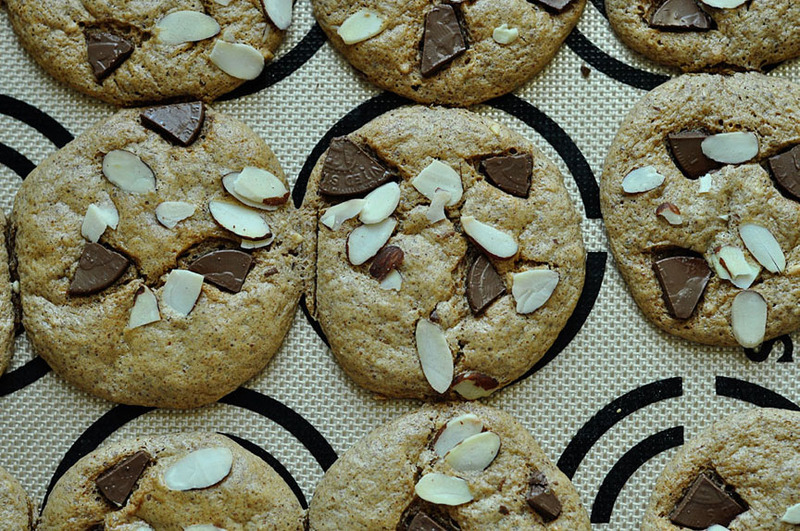 Bake for 10-12 minutes or until cookies turn a slight golden brown underneath. Cool on the baking sheet for 10 minutes then transfer to a wire rack to cool completely. Repeat with remaining dough. Makes about 16. My sweet auntie gave me this cookbook, and I was like, “It’s been too long since I failed at whipping up egg whites.” All the recipes in it are old-school and technical, especially the frostings. Sea Foam Frosting, Honey Brown Sugar Meringue Whatever Frosting. I’m excited to try ’em. Perusing on the plane between chatting to a guy who insisted on regaling me with stories of his backpacking excursions and how his girlfriend loved (guys, it is her favorite thing) to make red velvet cake and how he was trying to find a church in his new city, this walnut cake was the first one to catch my eye. 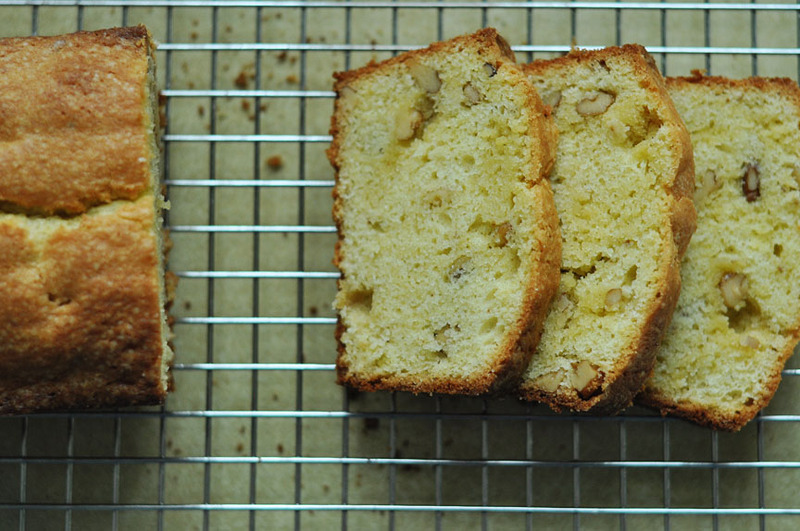 It reminded me of a black walnut pound cake thing I had in England. Unfortunately, I didn’t have any black walnuts on hand (where can one procure these?? ), so I just used regular. I did right by the egg whites this time, even folding them in carefully!, and the result was a perfectly crispity top layer to the cake. My only complaint: the flavor was a little lackluster. Back in the 50s, they weren’t overdoing it on the salt, doubling the vanilla and adding savory spices like thyme to their cakes. Maybe next time, I’ll take baby steps and toast the walnuts or something. Grease and flour a 9x5x3 loaf pan. Cream shortening in a large bowl until soft. Add the dry ingredients, blend. Stir in the walnuts. Beat the eggs yolks in a medium bowl until thick and lemon-colored. Stir in the sugar and almond extract. Add to the shortening/flour mixture. In a clean bowl, beat the egg whites until stiff but not dry. Fold into the egg/flour mixture, being careful not to deflate the egg whites too much. 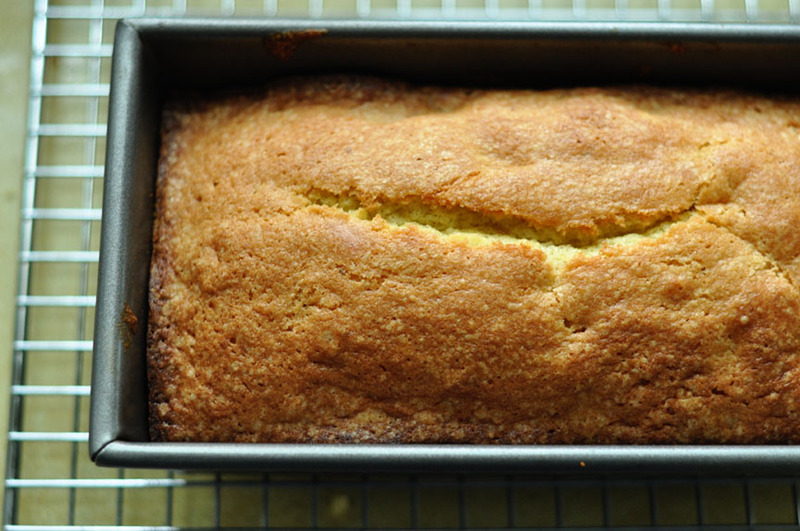 Pour the batter into the loaf pan. Let stand for 15 minutes while the oven preheats to 350 degrees F. Bake 50 minutes to 1 hour or until a cake tester inserted in the center of the loaf comes out clean. Cool in pan about five minutes, then turn out onto a wire rack to cool completely. What’s good, homies? 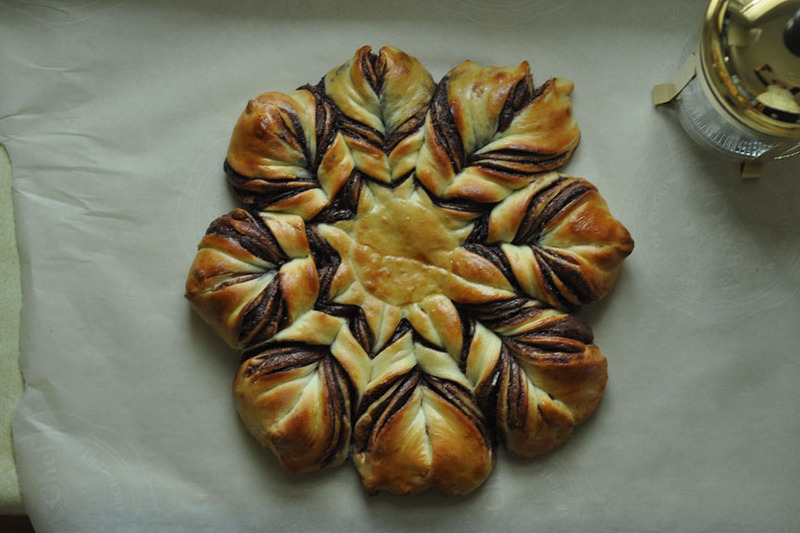 This bread be on fleek, and it is the prettiest snowflake coolio thing I’ve made in a while, so won’t you make it too? It’s easy, I promise. First, proof your yeast. Make sure your milk mixture is 110 degrees F or below because we’re not talking gangster rap here. Don’t kill it! Knead the yeast until it’s smooth and elastic, let rise, then roll out into four circles. Important: spread each circle with the new, updated, read-all-about-it serving size of Nutella, approved by me, which is MUCH. Get fancy with your cup/knife skills, then use your small motor skills to twist pairs once and twice, pinching the ends together to create the star look. Let rise while the oven preheats, brush with an egg wash, then bake for 20. Eat immediately with your honey because V Day is coming up. Or just spend a half an hour photographing it because how could you not? More detailed, less hip hop instructions below. Heat the milk, water and butter in a small saucepan, stirring until combined. Let cool to 110 degrees F. Stir in sugar and salt, then sprinkle the yeast over the mixture. Proof yeast mixture for about 10 minutes until foamy. Add three cups of flour and cardamom to the bowl of a stand mixer fitted with the dough hook. Make a well in the center of the dry ingredients. Dump in the proofed yeast mixture. Give it a few quick stirs by hand until mostly combined, then start the mixer. If the dough looks too sticky, add the extra 1/4 cup of flour. Knead with the mixer (or by hand) for about 20 minutes, until the dough is smooth and satiny and comes away from the sides of the bowl. Grease a large bowl with two tablespoons of canola oil. Turn out the kneaded dough into the bowl, cover with a warm towel and let rise in a warm place for about 45 minutes until doubled. When risen, preheat the oven to 350 degrees F.
Punch down the dough and divide into four equal sections with a dough scraper. Dust a work surface with flour, and roll the first ball into a circle, at least 8 inches (20 cm) in diameter and 1/8 of an inch in thickness. 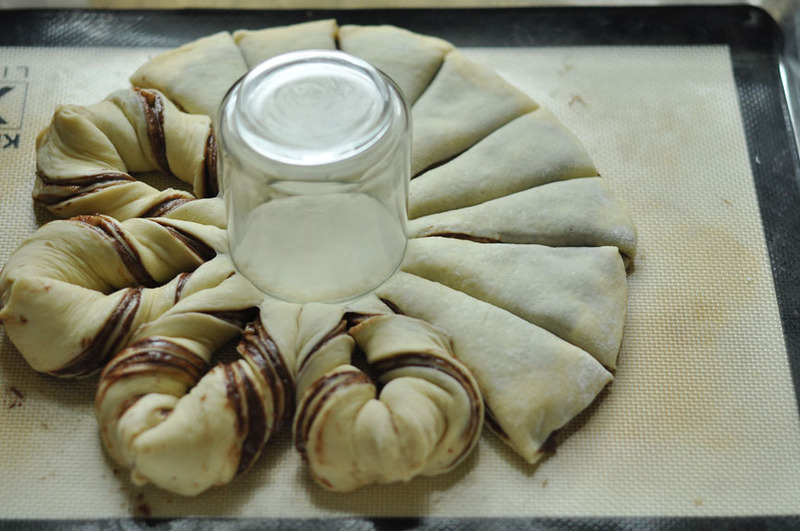 Use a rolling pin to transfer the rolled out dough onto a sheet of parchment. This will make it easier for you to move the rolled-out dough around without messing up it’s shape. 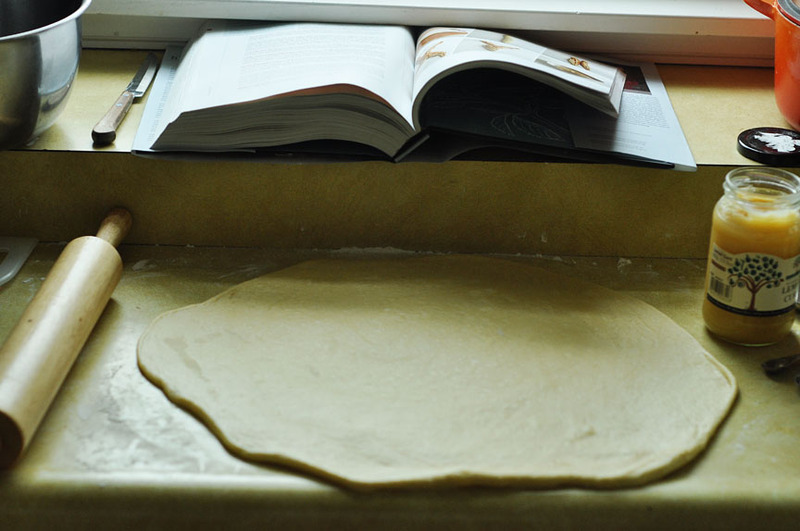 Use a circular object (like a dinner plate or pot cover) to lightly indent your rolled out dough with a circular shape. 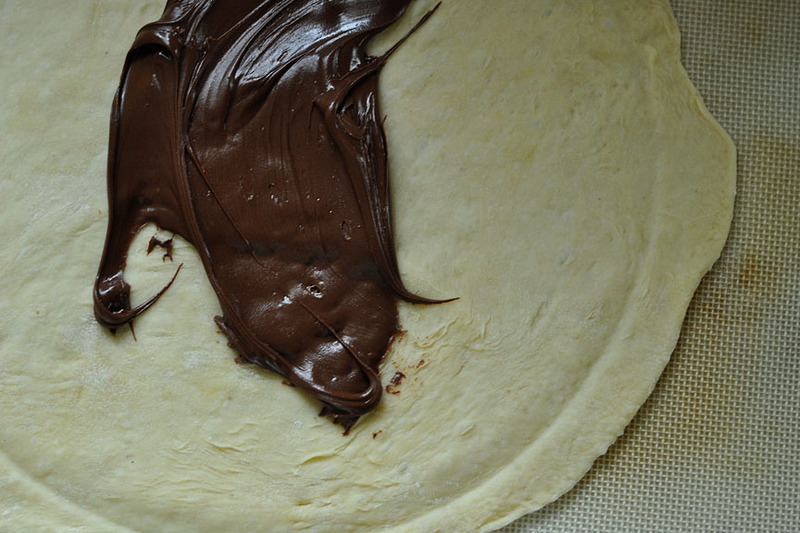 Spread 1/3 of the Nutella inside the circular indent and all the way to the edge, being careful to stay within the indent. Repeat with the remaining dough balls, stacking the layers on top of one another and ending with the final dough layer (don’t put Nutella on top of this one). Find the center part of your circular dough and place a small round object (I used a small condiment bowl) right in the middle. Using a sharp knife, divide the dough into four equal parts. Start at the rim of the small round object you have placed in the center if the dough and cut through to the edge of the dough. Using the same method, divide each quarter into two equal pieces, and then again into four equal pieces. You will have 16 pieces total. Holding two of the dough sections next to each other at a time, twist the strands of dough twice away from each other and then pinch the ends together firmly to seal. 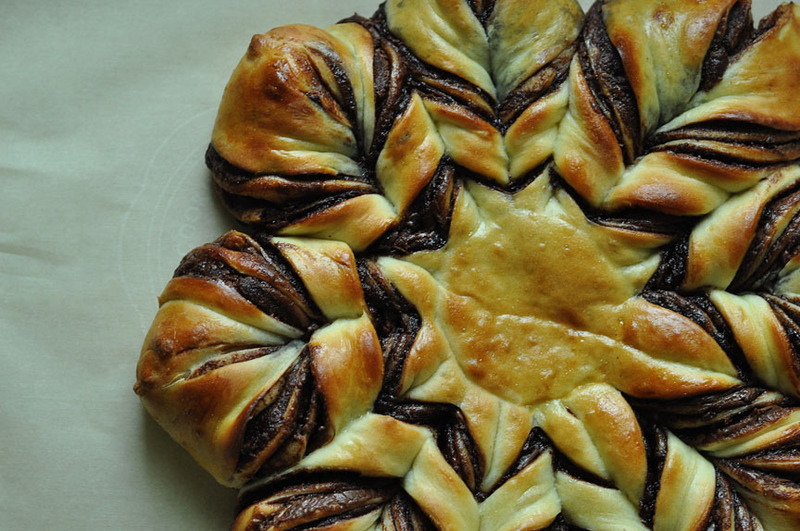 When you’ve twisted and shaped the whole round of dough, it should look like a flower with eight petals. Place the dough and parchment on a baking sheet. Cover with a damp, clean kitchen towel and let it rise for 15-20 minutes. Beat one egg and a tablespoon of tap water together to form an egg wash. Using a pastry brush, gently brush the egg wash over the dough. 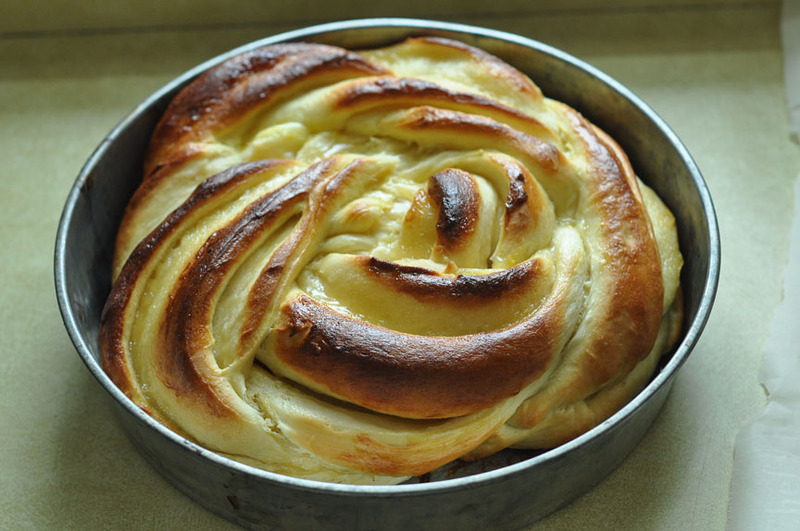 Bake the bread for 15-20 minutes or until bread is a deep golden brown. Do not overbake. You should have enough to go on by that point that the conversation can flow naturally onto other, more meaningful things because let’s be real: Girls + boys + food + fashion? The essential building blocks of girl small talk. I say “nearly foolproof” because I have, on occasion, run into a few girls who are under age two, and their articulation is poor, so the friendship-making skills are more of a mystery to me. For the pastries part, nothin’ like a muffin to welcome new house-dwellers. Previous new roommate muffin time here. My two new roommates will walk into the kitchen and say things like, “You’re in here…again?” Clueless lol. But in a nice way. These reminded me of the way England does fairy cakes. 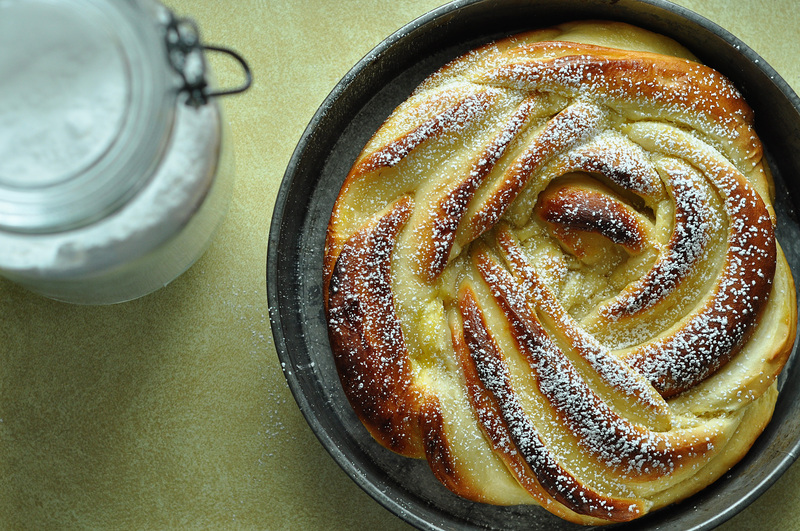 Just a thick glaze, no buttercream swirls necessary. I baked these on the first Saturday morning that all the fairies were together in the house, soaking in the morning sunshine and trading boy stories. Trying to get after these babies again, I included juice and chia seeds. They weren’t quite as moist as last time, no idea why, but the glaze was jamming. 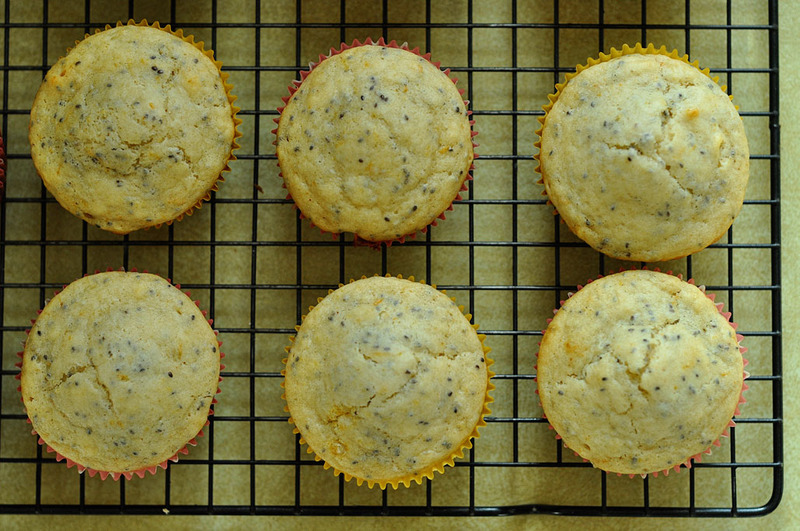 And these are muffins, so breakfast. Preheat your oven to 350 degrees Fahrenheit (180 degrees Celsius), and line a 12-cup muffin tin with paper liners. In a large bowl, whisk together the flour, baking powder, ginger, sugar and salt. 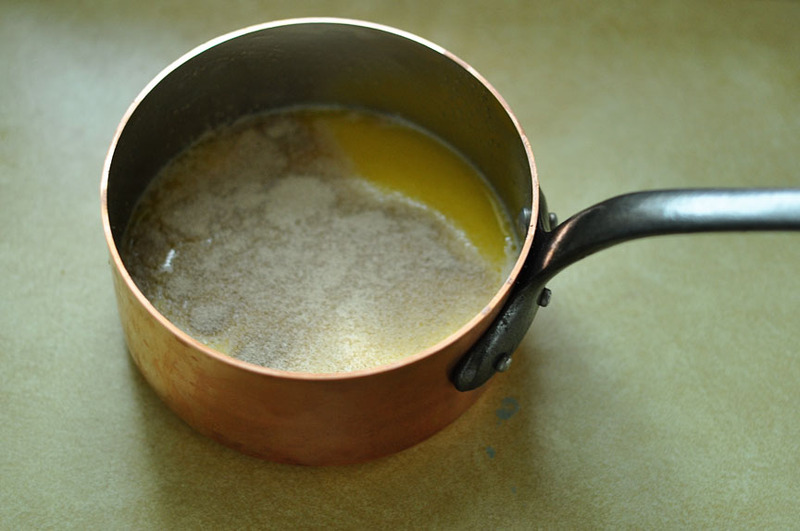 In a separate bowl or measuring cup, whisk together the milk, juice, zest, oil and maple syrup. Whisk the wet ingredients into the dry ingredients until just combined, then stir in the chia seeds. Scoop evenly into the holes of the muffin tin. Bake for 15-18 minutes, until a skewer poked in the center comes out clean. Cool for 3-4 minutes in the muffin tin, then remove and allow to cool completely on a wire rack. These freeze well. 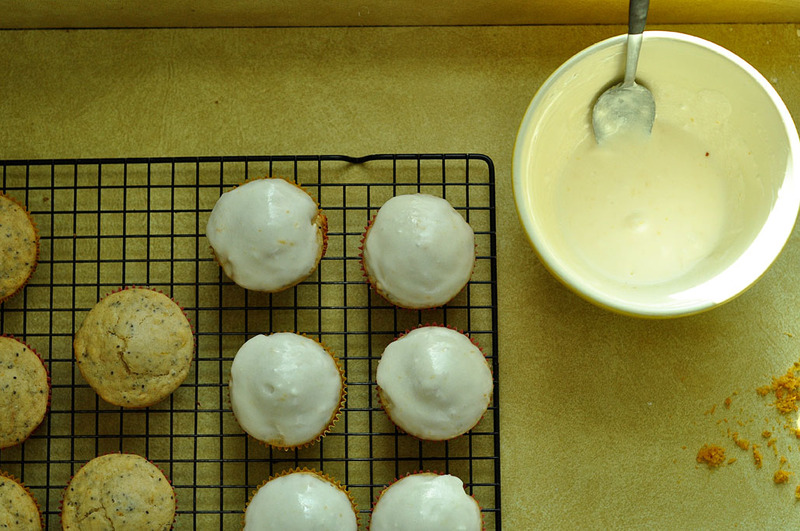 For the glaze, beat together 2 tablespoons butter with 1 cup powdered sugar. Add milk one teaspoon at a time to get a consistency that you like, adding more sugar if needed. Top with extra grapefruit zest.